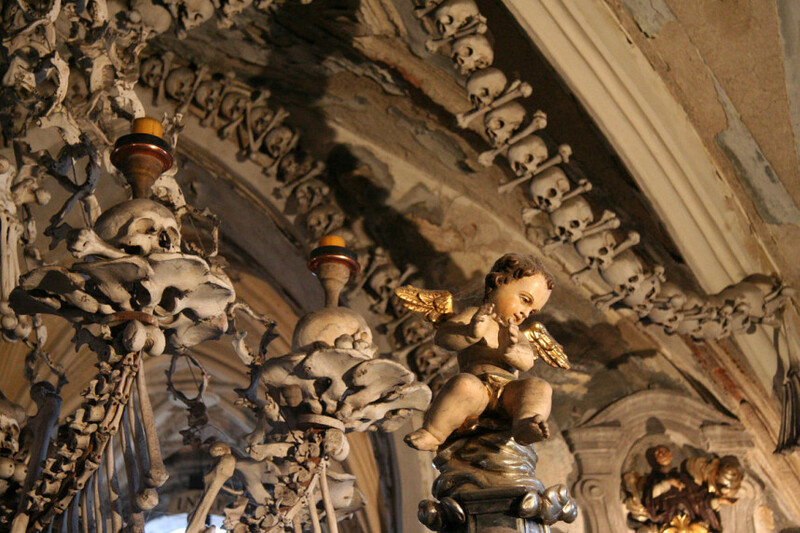 The Sedlec Ossuary also known as the Church of Bones or as the Bone Church is one of the most unusual medieval Gothic chapels you will ever see. It is located in the basement of the chapel of the Cemetery Church of All Saints which was originally part of a Cistercian abbey in the suburbs of Kutna Hora. The chapel itself is composed of two chapels, one built on top of the other with a lower one home to a chilling theatre of life and death, a controversial place that to this day inspires humility and awe. 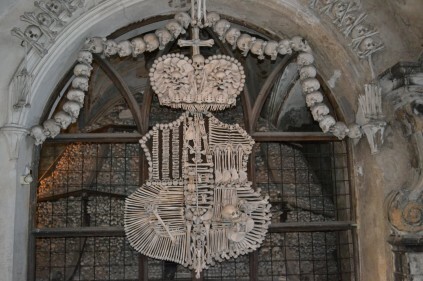 This is definitely one of the most amazing and unique churches in the world as it is artistically decorated by more than 40,000 human skeletons. 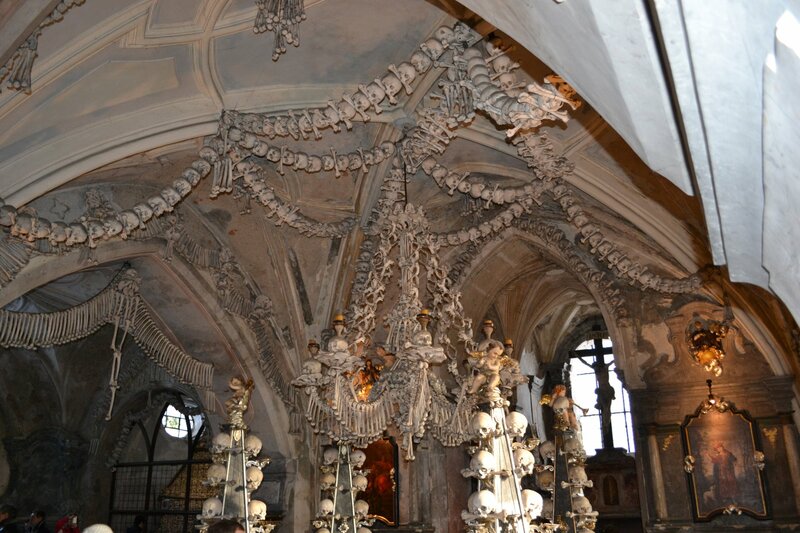 One of the most fascinating artistic works inside the Sedlec Ossuary is the big chandelier of bones that lies in the center of the Church of Bones. 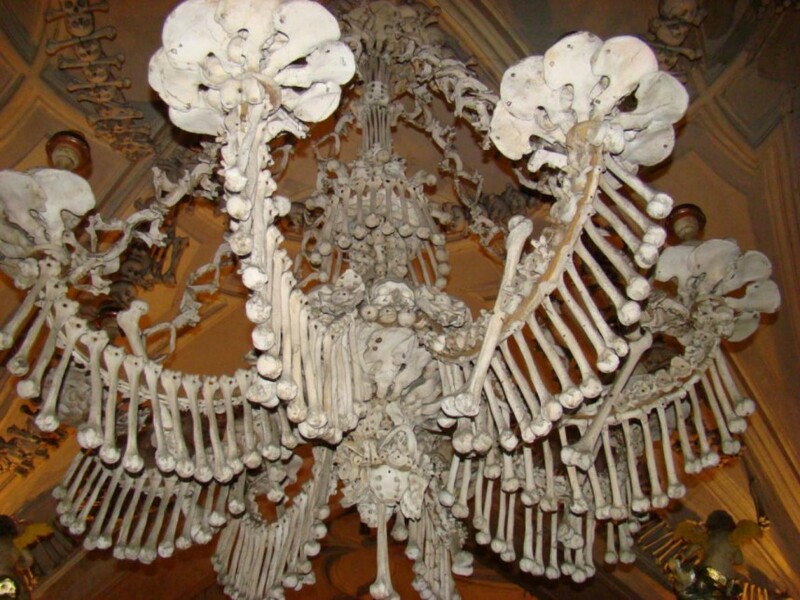 The huge chandelier contains at least one of every human bone. 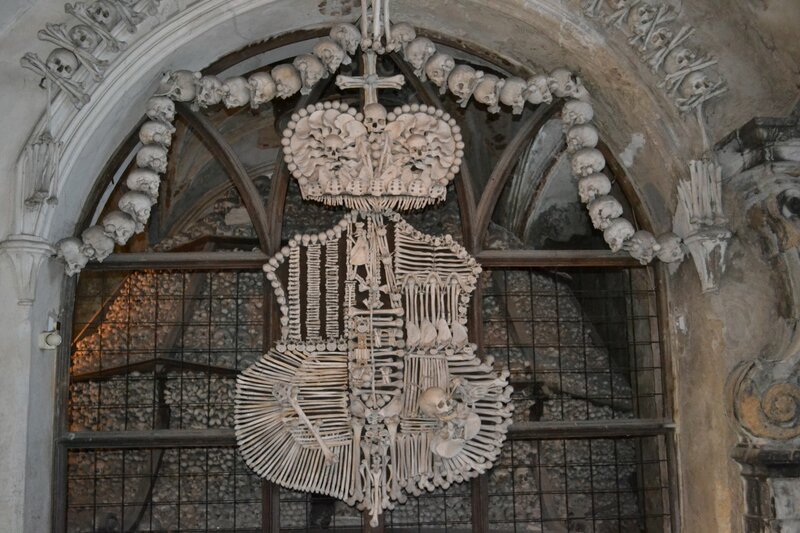 Another impressive work is the coat of arms of the Schwarzenberg family that is also made of human bones. 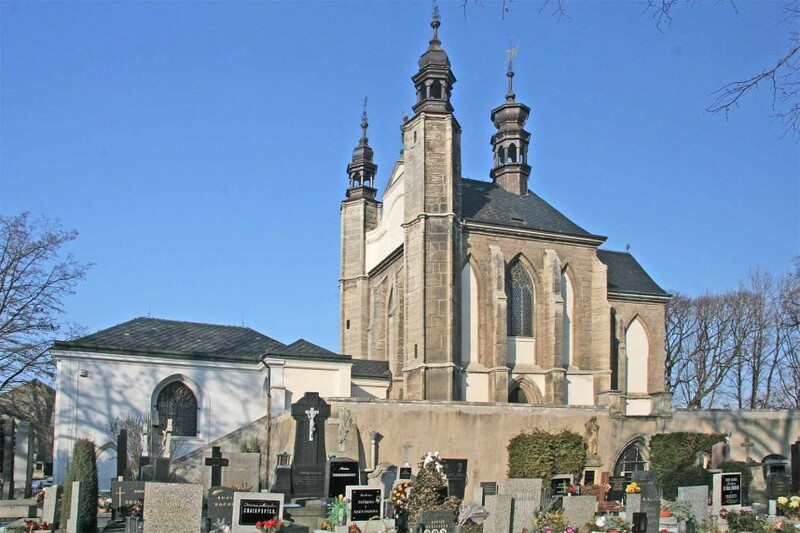 The history of the Sedlec Ossuary goes back to 1278 when the King of Bohemia sent the abbot of the Sedlec Cistercian Monastery to Jerusalem. When the abbot came back he brought with himself a jar of soil from the Golgotha. Soon people from all over the places desired to be buried in Sedlec and the cemetery had to be expanded. In the 15th century a Gothic church was built near the cemetery and its basement was used as an ossuary. 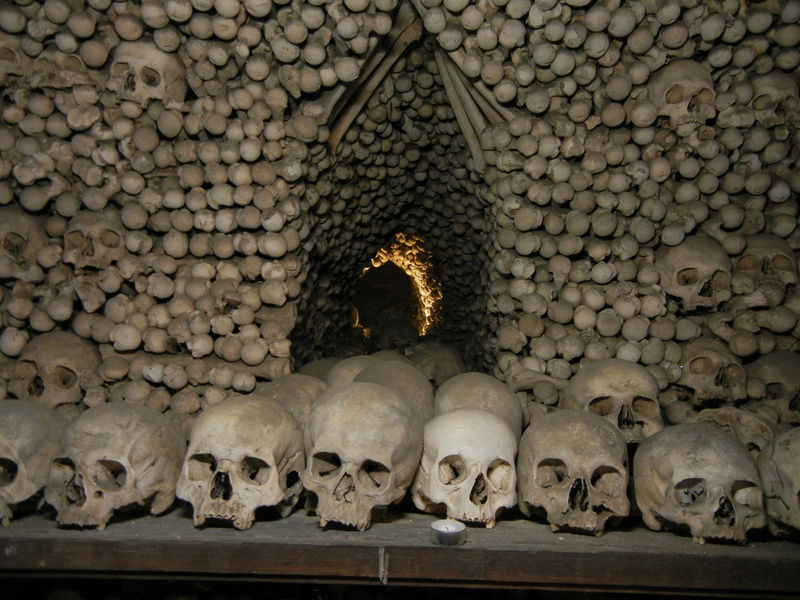 The bones stayed there for centuries till 1870 when a woodcarver named Frantisek Rint was appointed to place the bones in order and the result was impressive. 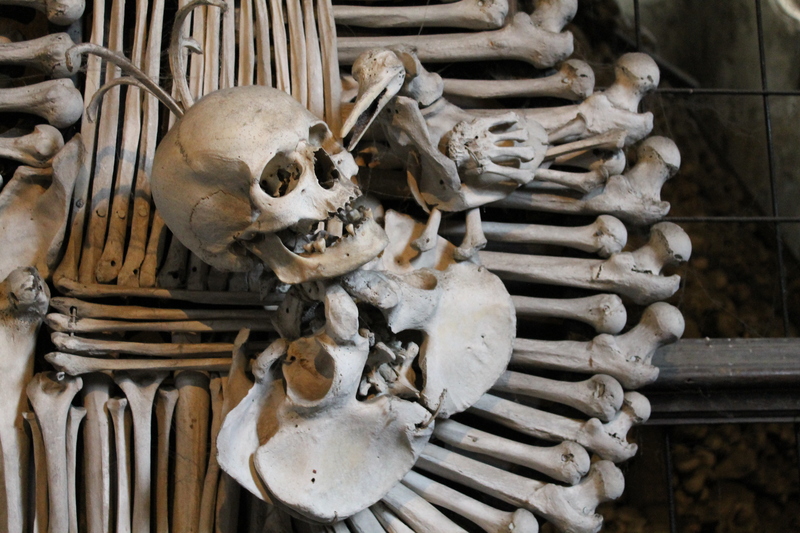 Due to its uniqueness and history the Sedlec Ossuary is included on the prestigious UNESCO World Heritage List.